Another day, another mid-year “Best” list (you can find all 1,900 Best lists here). And you might also want to see The Best Funny Videos Showing The Importance Of Being Bilingual — Part One ; The Best Videos Illustrating Qualities Of A Successful Language Learner ; The Best Video Clips Demonstrating “Grit”; and The Best Fun Videos About Books & Reading. 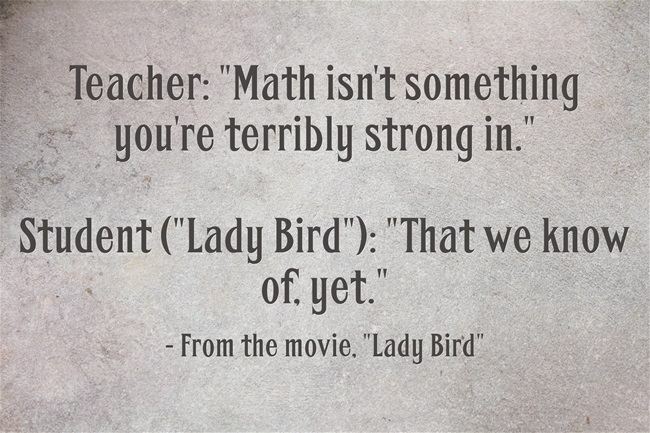 You might also want to check out The Best Video Collections For Educators ; The Best Video Clips On Goal-Setting — Help Me Find More ; The Best Movie Scenes, Stories, & Quotations About “Transfer Of Learning” – Help Me Find More! ; The Best Funny Videos To Help Teach Grammar – Help Me Find More ; The Best Videos About The Famous “Trolley Problem” and The Best Videos For Teaching & Learning About Figurative Language. I’ve also written a guest post for Edutopia titled 5-Minute Film Festival: 8 Videos for ELL Classrooms. You might find it useful. This new TED-Talk video, titled “How language shapes the way we think,” is definitely worthwhile for an IB Theory of Knowledge class. I’ve shared a lot on the concept of “deliberate practice,” including lessons I use in my own classroom (see The Best Resources For Learning About The 10,000 Hour Rule & Deliberate Practice. Character Lab (led by Angela Duckworth) released an extensive lesson plan and short video (with Wynton Marsalis!) on what they call “Expert Practice” (I’m perplexed about why they would change the term, especially since they say it was inspired by Anders Ericsson, who originated the phrase “deliberate practice”). There are definitely some very useful materials in the lesson plan though, like in their previously-released materials, I’d bet most teachers will want to pick-and-choose which they use in their class. 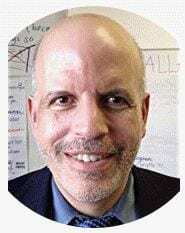 Brainwaves Videos on YouTube is a great channel to find short videos of educators discussing important topics (in fact, you can find one of me talking about helping students develop intrinsic motivation). This new video on “Why Teachers Quit” is a great one to watch. I’ve shared Richard Ingersoll’s work at The Best Posts & Articles About The Importance Of Teacher (& Student) Working Conditions, and he provides an important summary of it all here…. We are proud to share this video, produced by Playing For Change in partnership with Turnaround Arts, to share the message that the arts have the power to improve our schools and build more compassionate, connected communities. Turnaround Arts infuses struggling schools with the arts as a strategy to bolster reform efforts and is a national program of the John F. Kennedy Center for the Performing Arts. The program is in 73 schools in 37 districts across 17 states and the District of Columbia. You can find links to the resources we mention here. And you can access lots of free resources from Katie and my new book here. I very seldom miss school because of illness. Usually, I know well in advance when I’m missing class, and am able to go over the plan with students and with a “leadership team” for each class period (see Use ‘Compassion’ When Planning for a Substitute Teacher). I’ve always wanted to videotape sub instructions for my classes. However, anytime I’ve been sick enough to miss school, the last thing I wanted to do was talk to anybody – much less make a video. This morning, though, I woke-up with a sore throat and since I’m also recovering from sciatica, and some things are happening tomorrow that I can’t miss under any circumstances, I decided to take the day to rest up. And I felt well enough to make this video, which both my student teacher and the sub say students thought was funny, but they also “loved it.” It’s not great shakes of a video, but I think the novelty of it had an impact. Have you used videos when you’re going to be gone? If so, how did it go? Absence instructions from Larry Ferlazzo on Vimeo. 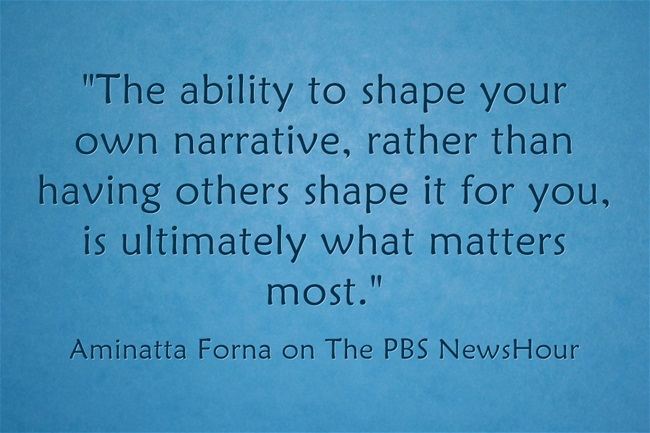 Though I think the title of the segment is a bit strange (“The power of your suffering is in how you tell your story”), this segment from last night’s PBS NewsHour would be a good tool to promote student agency (you can get the written transcript here). 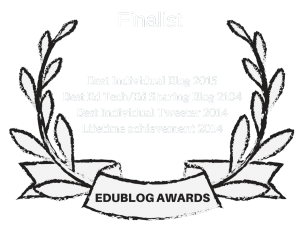 I’m adding it to The Best Resources On Student Agency & How To Encourage It. 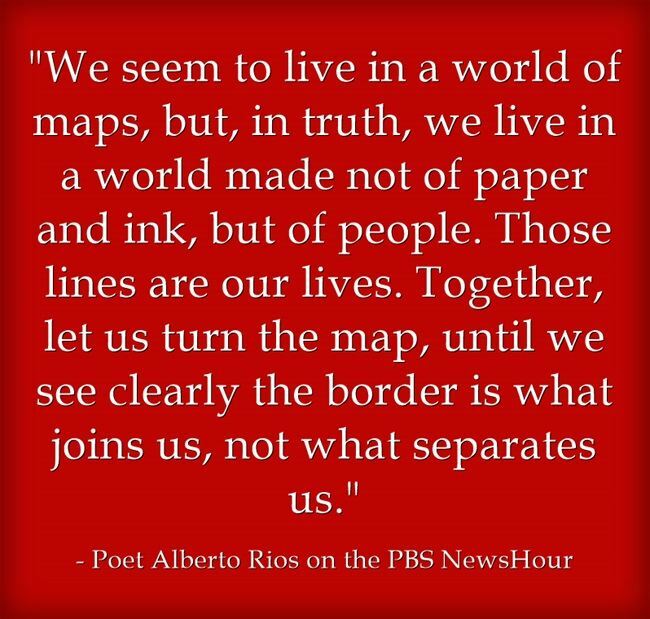 The PBS NewsHour did a short and impressive segment with poet Alberto Rios. Here’s the video, and I’m adding this to The Best World Poetry Day Resources – Help Me Find More. I’ve previously posted some of the group OK Go’s music videos, and was pleased to read today that they had teamed-up with Google to create the OK Go Sandbox, a collection of classroom activities connected to their music. Whether you plan on going gradeless or not, this video by Starr Sackstein offers some excellent advice on assessment. I’m adding it to The Best Resources On Grading Practices. I’ve written a lot about how I’ve used exercises with both English Language Learners and mainstream students to help them visual success (see My Best Posts On Helping Students “Visualize Success”). That “Best” list includes lots of research on the idea, along with results from my Teacher Action Research projects (see The Best Resources For Learning About Teacher Action Research – Help Me Find More). The NY Times published a series of short videos having Olympic athletes share what they visualize before their competition begins, including animations of what they see. They are perfect to show students since some might think the exercise is a waste of time. You can see all of them at Inside An Olympian Mind. I’m also adding this info to A Beginning List For Learning About The 2018 PyeongChang Winter Olympics. I’ve shared many of the great StoryCorps animated videos over the years. You might also be interested in The Best Fun Videos About Books & Reading. “I think the big thing is don’t be afraid to fail,” Foles said. “In our society today, with Instagram and Twitter, it’s a highlight. It’s all the good things. When you look at it, you have a bad day, you think your life isn’t as good, you’re failing. Failure is a part of life. It’s a part of building character and growing. Without failure, who would you be? I wouldn’t be up here if I hadn’t fallen thousands of times, made mistakes. We all are human. We all have weaknesses. Just being able to share that and be transparent. What does Nick Foles say about failure? What does he say about comparing yourself to others? To what extent do you agree with what he or she is saying? To support your opinion, be sure to include specific examples drawn from your own experience, your observations of others, or any of your readings. I’m adding it to The Best Posts, Articles & Videos About Learning From Mistakes & Failures. Showing it would be a perfect way to begin a professional development exploration on the topic! You might also be interested in The Best Posts & Articles On How To Teach “Controversial” Topics. “Long Way Down” author Jason Reynolds describes his path to becoming a prolific writer and makes the case for expanding the literary canon to reach more kids. I’ve previously posted about the great Dollar Street site (see “Dollar Street” Is Clearly One Of The Best Online Educational Resources Of The Year). You might also be interested in The Best Hans Rosling Videos. It’s a great movie, and I say that not because it’s very Sacramento-centric. There’s also a great clip in it about a growth mindset. Literature can be daunting for some young people, so how can we create a culture of avid readers? Poetry can be a non-threatening alternative introduction for fledgling bibliophiles, giving them more “white space” on a page without losing narrative elements. Author Jason Reynolds shares his humble opinion on how poetry can entice young readers. You might also be interested in The Best World Poetry Day Resources – Help Me Find More. The Rusty Radiator Award, also known as the Radi-Aid Awards, recognize the best and worst charity ads each year. You can see the nominees at the Rusty Radiator site. You can also see past year’s winners by clicking “Archive” at the top. NPR has a very good article on the program at Vote For The Best And Worst Charity Ads Of 2017. They are good to show students for analyzing persuasive techniques, as well as for introducing some of the world’s problems highlighted in the ads. Since many of the videos are refugee-related, I’m adding this to The Best Sites For Learning About World Refugee Day. The Smithsonian Asian Pacific American Center published this amazing short film. “America is in the Heart” is a novel written by Carlos Bulosan in the 1940’s to capture his Filipino American experience, but its words still resonate with the greater immigrant experience today. This film, created by Frank Chi and presented by the Smithsonian Asian Pacific American Center, features a passage read by comedian Hasan Minhaj, community organizer Ivy Quicho, and writer Junot Díaz – and features footage from throughout the United States of some of the 45 million immigrants who have become Americans since the publishing of the book in 1946. You can read more about it in the NBC News story, ‘America Is in the Heart’: Smithsonian video spotlights U.S.’s immigrant history. The text of the video will make a great centerpiece for a lesson. Since it’s so short, it will be easy to transcribe or copy from the book itself. I just haven’t had time yet to do either. It even includes shots of students learning in an ESL class! Yes, it was about that Trolley Problem. Here’s a clip from the beginning of the show, followed by the entire episode. I’m adding it to The Best Videos About The Famous “Trolley Problem”. I’ll be showing parts of it to my TOK class when we learn about ethics after the first of the year. I suspect you’ll agree that this is one impressive video and one impressive speech. I’m adding it to The Best Online Resources About President John F. Kennedy. This is a very thought-provoking video on an important issue we should be discussing with our students, though many of us don’t because it could be a scary one to have. It does include two classroom inappropriate words but, after clearing it with my principal (I assume he would be okay with it), it’s one I would want to show to my IB Theory of Knowledge class. This new animated video would be good for IB Theory of Knowledge classes, as well as others. It echos the famous Richard Feynman quote about ““The Difference Between Knowing The Name Of Something & Knowing Something.” I’ve embedded that video at the bottom of this post. I’ve shared many resources related to Dan Pink over the years, including the well-known RSA Animation of one of his talks (I’ve embedded it again at the bottom of this post). Now, Productivity Game has just published its own animation highlighting key points in Dan’s book, Drive. PreviousWhat Non-Education Podcasts Are Good For Teachers?